Size: 35 1/2" x 56"
Wood Countertop Finish: Durata® permanent finish in matte. 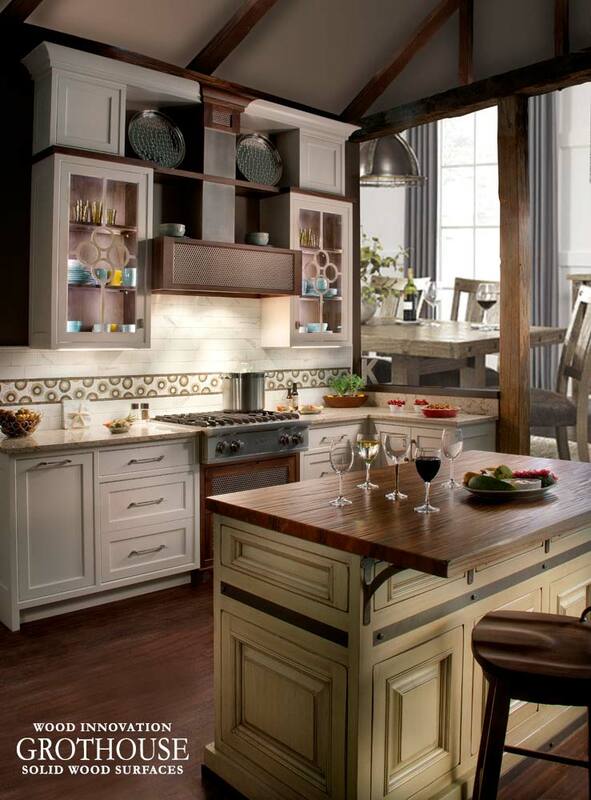 This contemporary kitchen design entails many neutral tones, generating a warm and inviting atmosphere. 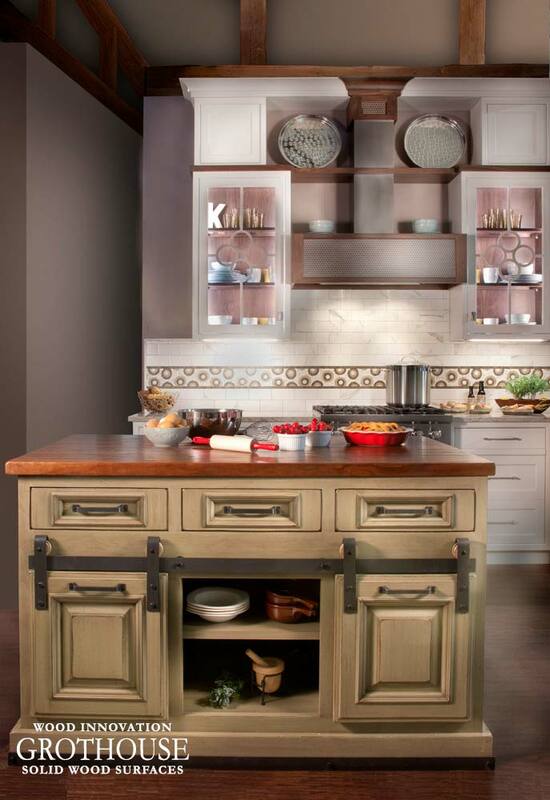 With the kitchen already having many heartfelt tones, a Kensington Wood™ kitchen island top was the perfect addition! Read the designers blog here.